Welcome to Friction's official website! Friction is known for his irrisistable blend of powerful Reggae with African and Carribean Vibes, and for his unforgettable live performances. 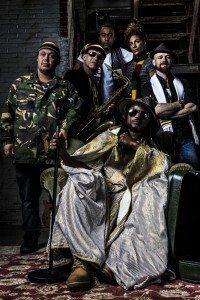 Together with his band The Roots Drivers Friction is touring the world; from Canada to Germany, from the UK to Holland and many countries in between. Check out the agenda for their complete tour schedule, or get in touch if you want to book Friction yourself! Friction's music is unique, and so is his life story. Friction was born and raised in the ghetto of Accra (Ghana), and managed to establish an international music career. Read his inspiring story here! Do you want to stay updated about Friction, his projects, activities and new music, Sign up for Friction's newsletter.